A fully restored example of the work of the leading nineteenth-century west-country organ builder with an unusual architect-designed case. The future of the building is uncertain as the church is closed and may be redeveloped. The instrument was comprehensively restored in 2005 and is in good condition. Important organ case, a product of the Sutton-Pugin circle. The church has not been used for some while and the building is listed on the Historic England Heritage at Risk Register. 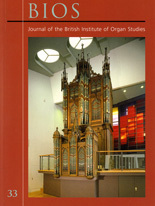 Alternative uses under consideration would be likely to affect the organ and the fine organ case, designed in 1856 by the Revd J.Gibson. A fine Hill & Son organ of 1904. 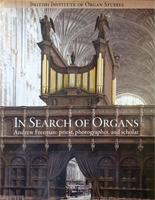 A product of one of the most highly respected organ builders of the period. The organ was declared at risk because it is understood that there is a need to remove the organ for repairs to the building, and there are proposals that the instrument might not be reinstated in the church. The case is currently in front of the Consistory Court. An early William Sweetland of Bath organ of 1855. It features early Gothic Revival casework and retains an historic 'nags-head' swellbox. Largely unaltered except for relocation from the west end of the church in the late 19th century. The organ was declared at risk because, following severe water ingress from above, the instrument is now almost entirely unplayable.